Stark and Hammack, PC is a knowledgeable general practice law firm that has extensive experience in many areas of law. We understand that you need a lawyer you can trust, and we want you to know that you have found a firm that is willing to go above and beyond to reach the best possible outcome for you. Our compassionate staff will always provide you with honest services while keeping your goals at the forefront of their decisions and recommendations. Unless a court determines otherwise, an adult is assumed to be capable of making their own decision. If an individual (the “ward”) becomes incapable of making important decisions due to a mental impairment or illness, a legal guardian or conservator will be appointed. A conservatorship or guardianship creates a legal relationship where the guardian can be authorized to make financial, legal, and health care decisions for the ward. We will work with you to determine which type of guardianship best fits your situation. If you are looking for legal advice or representation, please contact us today. 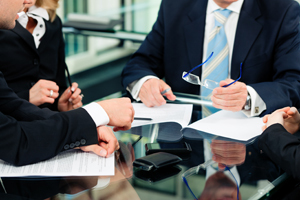 If we cannot assist you with your particular legal matter, we will gladly refer you to an attorney who can.